A North American species, evidently very local in Michigan, which is at the northern edge of its range. 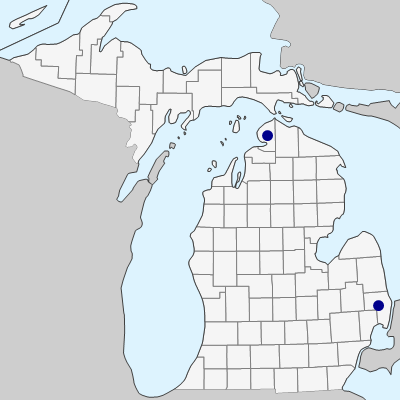 The two collections seen are from the Belle River near Capac, St. Clair Co., and the Maple River east of Brutus, Emmet Co., where C. palustris is also known. The fruit is 0.6–1 (–1.1) mm long, while in C. palustris it is usually a bit longer. MICHIGAN FLORA ONLINE. A. A. Reznicek, E. G. Voss, & B. S. Walters. February 2011. University of Michigan. Web. 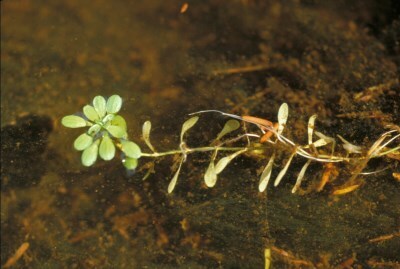 April 19, 2019. https://michiganflora.net/species.aspx?id=1931.